For most addicts, the fear of opiate withdrawal becomes the biggest obstacle to stopping drug abuse practices. Even in cases where a person uses opiates as a pain management treatment, the dread of experiencing withdrawal effects can prompt drug-abusing behaviors. For these reasons, doctors must take an active role in gauging the degree of withdrawal patients experience as they detox off the drug. The opiate withdrawal scale acts a tool for monitoring withdrawal symptoms. In effect, the opiate withdrawal scale enables doctors to track the severity of withdrawal symptoms experienced and act accordingly. When used correctly, the opiate withdrawal scale can provide valuable information, giving addicts the best chance at maintaining abstinence throughout the detox stage. With ongoing opiate use, the brain and body develop a physical dependency on the drug’s effects. Physical dependency starts in the brain as endorphin-producing cells lose their ability to function normally on their own. Over the course of taking opiates, cell structures deteriorate from having to produce large amounts of endorphins on an ongoing basis. As this transpires, the brain’s tolerance for opiates increases so cells require increasingly larger dosage amounts to function. When a person stops taking opiates, brain cell processes breakdown, leaving them unable to regulate bodily functions. Withdrawal symptoms are the result. 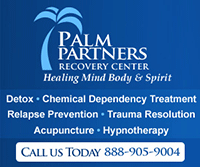 The opiate withdrawal scale tracks the frequency and severity of symptoms as they develop over the course of detox. The opiate withdrawal scale tracks symptoms of withdrawal using a scoring method that allows clinicians to determine the stage of withdrawal as well as the severity of withdrawal symptoms, according to the National Institute on Drug Abuse. In the process, a person’s level of physical dependency on opiates can be monitored and treated. 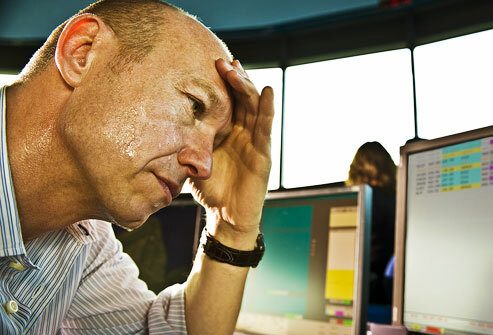 Sweating is a common symptom of opiate withdrawal used in the opiate withdrawal scale. This diagnostic tool can also be used for people trying to taper of medication treatment therapies, such as methadone and buprenorphine since the body can develop a physical dependence on these drugs as well. Compared to other diagnostic methods, such as blood tests and psychological testing, this tool can be administered in under five minutes, providing all the essential information needed to address a person’s treatment needs. Scores for each item on the opiate withdrawal scale range from zero to five, with zero indicating no symptom development and five indicating the highest intensity or severity level. After completing the assessment, the score total provides clinicians with an overview of where a person is at and the best course of treatment to take. Total scores ranging from five to 12 indicate a mild case of opiate withdrawal, whereas a score of 36 or more indicates a person is experiencing severe opiate withdrawal. Signs of Opiate Withdrawal You Can't Miss - Opiate withdrawal can be a challenging and painful process. Find out which symptoms warrant medical attention.